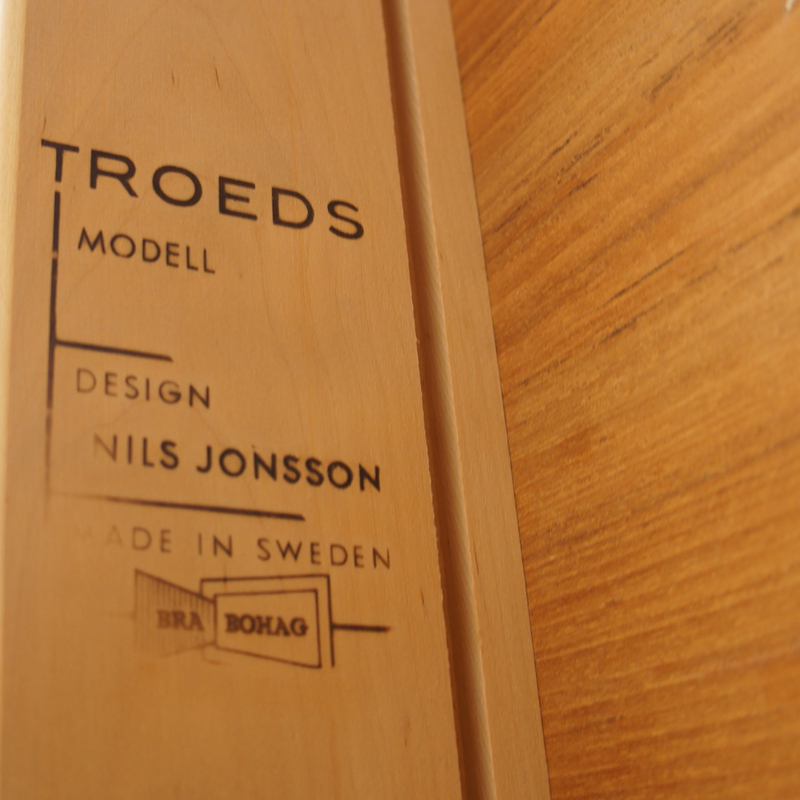 Troeds Sweden. 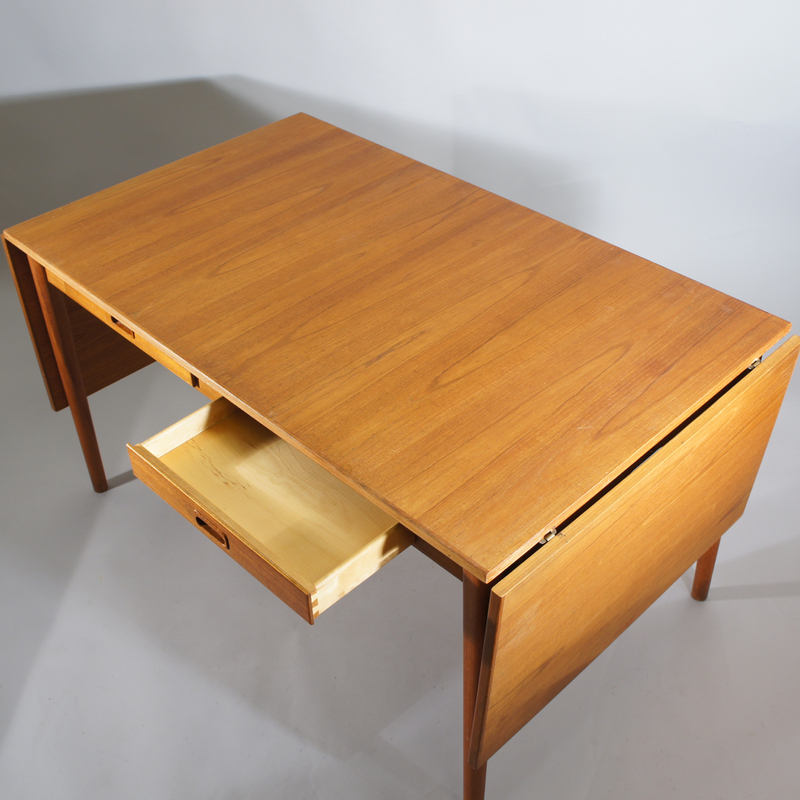 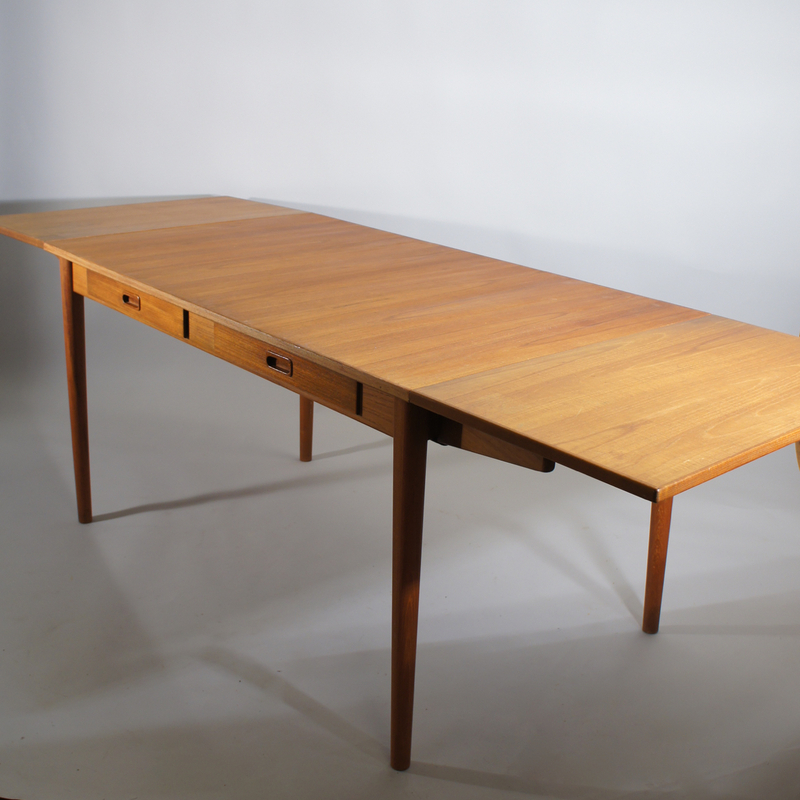 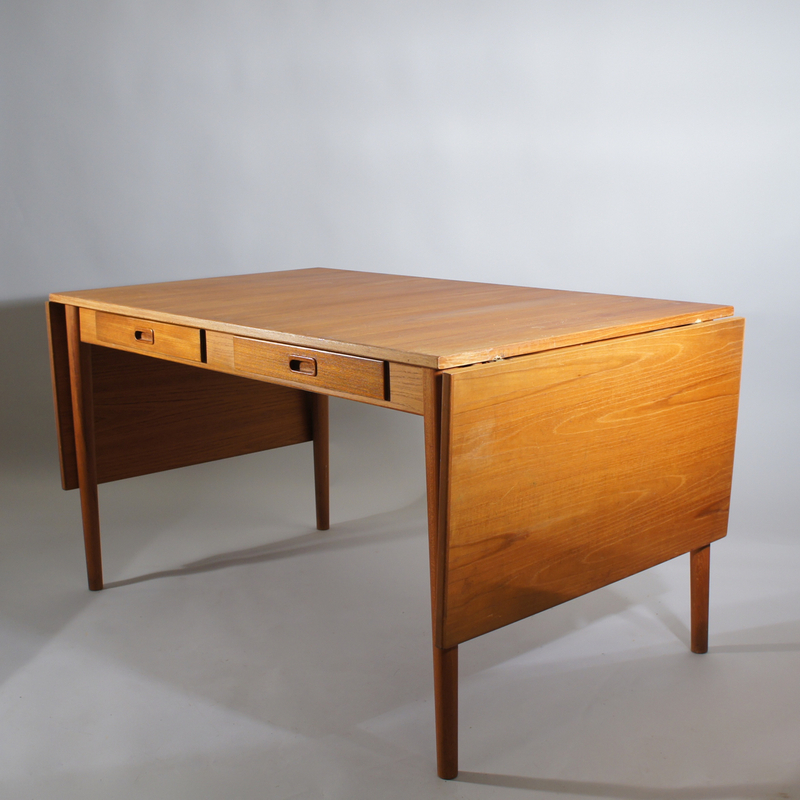 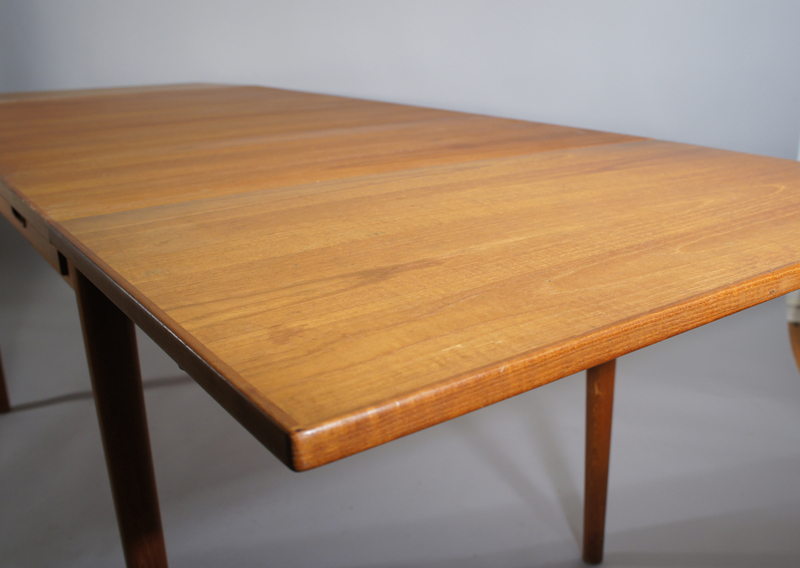 Dining/working drop leaf table in teak with chest of drawer. 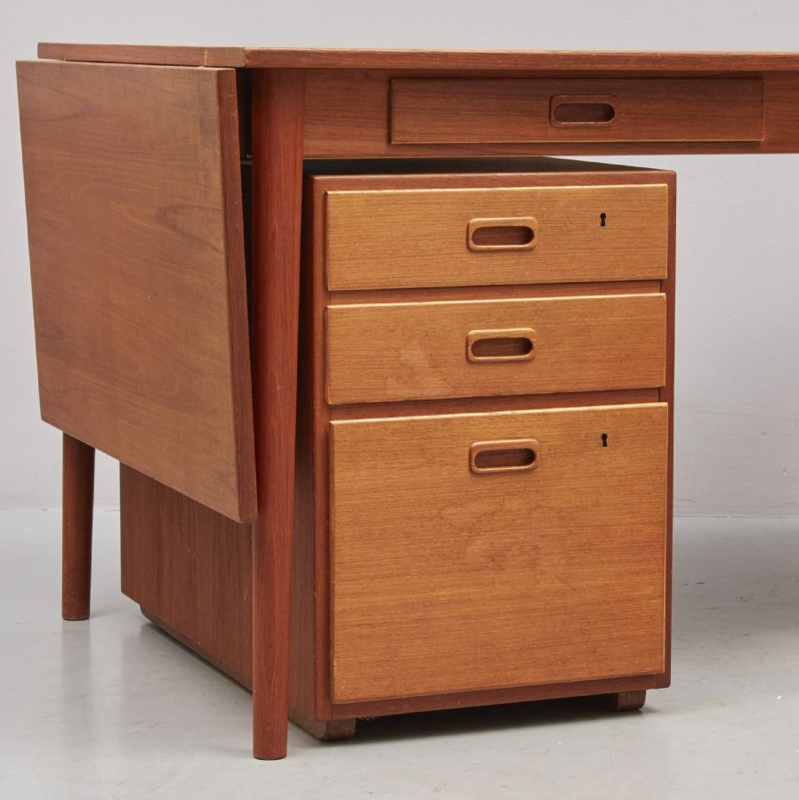 Lenght 130/220, w 80, h 72 cm.